We are delighted to announce that Best Theatre Arts has been shortlisted for the Hertfordshire Business of The Year Award for Corporate Social Responsibility! We’re thrilled that this should happen in our 20th anniversary year. The winner will be announced on 22 November so fingers crossed, but it’s a huge honour to be shortlisted so thank you everyone for your support! The awful state of the roads means there will be no Best, Best School of Acting or First Class classes tomorrow (Saturday 3rd March). For those with LAMDA classes prior to exams on Sunday we have made special arrangements. 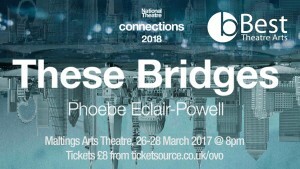 Our performances of ‘These Bridges’ as part of the National Theatre Connections programme will be on 26-28 March at The Maltings Arts Theatre. 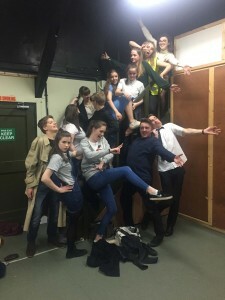 Best Theatre Arts’ youth group, TheBYTE, proudly presents These Bridges, This challenging, exciting and innovative theatre experience inspires us to consider what we desire, how we challenge our fears and how we may just survive it all. 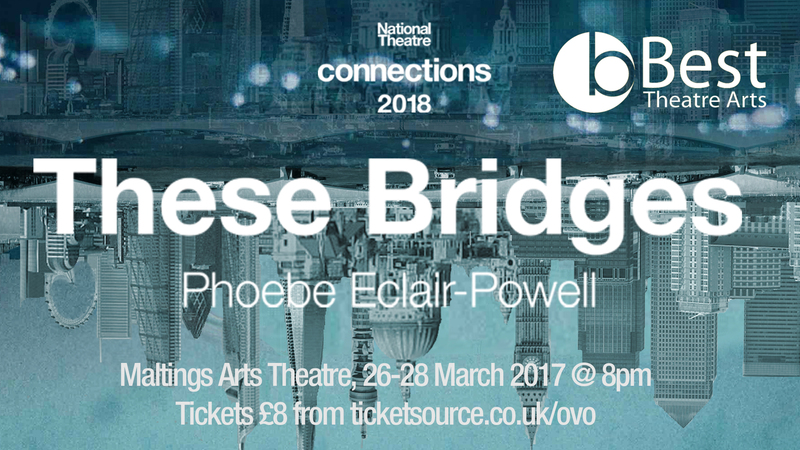 It’s a brand new play written by Phoebe Eclair-Powell for the National Theatre Connections 2018 programme – a nationwide celebration of new plays for young people. 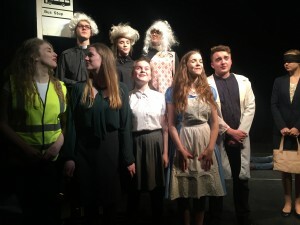 Best’s youth theatre group TheBYTE, are once more taking part in the National Theatre Connections programme, a national competition that saw us invited to perform on the Dorfman stage at the NT in 2015! 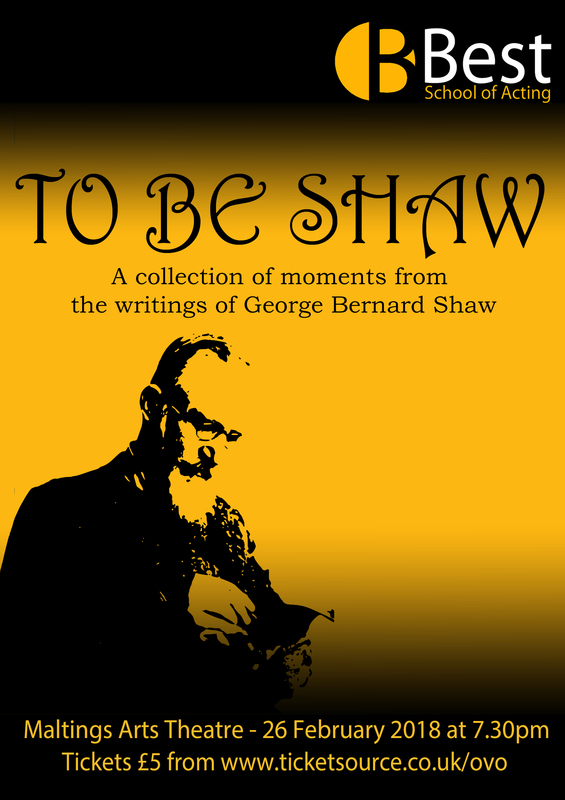 This time it’s a disturbing play about a post-deluge London, littered with bodies, and two teenagers’ journey to find out what lies on the opposite bank of the now swollen Thames. 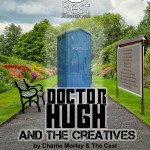 It’s an astonishing play and will feature a huge amount of precision physical theatre by the ensemble. 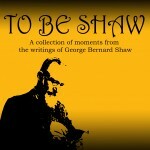 Tickets are on sale shortly here for the performances at The Maltings Arts Theatre 26-28 March. 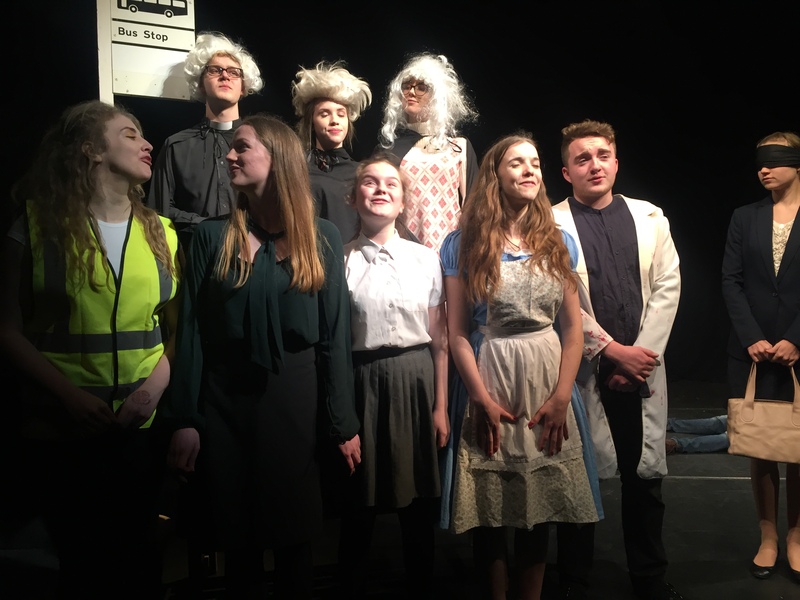 Best’s youth theatre group TheBYTE were triumphant with our production of Ali Smith’s ‘Just’ at the Welwyn Youth Drama Festival, winning Best Play and the Adjudcator’s Award in recognition of the outstanding chorus work. 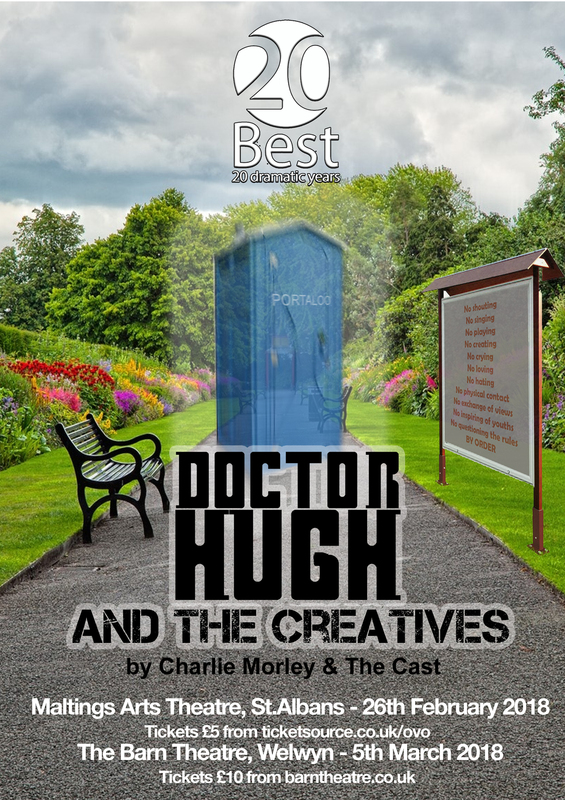 Congratulations to the cast and to director Dawn Hudson on anther amazing success for Best! Fresh from our success at the Welwyn Youth Drama Festival, our youth theatre group, TheBYTE, has a brilliant opportunity to perform at the Roman Amphitheatre of Verulamium! 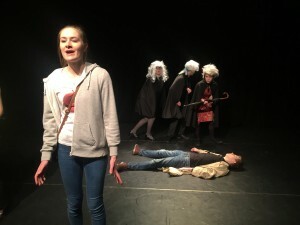 In association with our friends at Ovo we’ll be presenting a wonderful piece of Greek comedy – Aristophanes’ ‘The Birds’ on 17 & 18 July at 7.30pm. 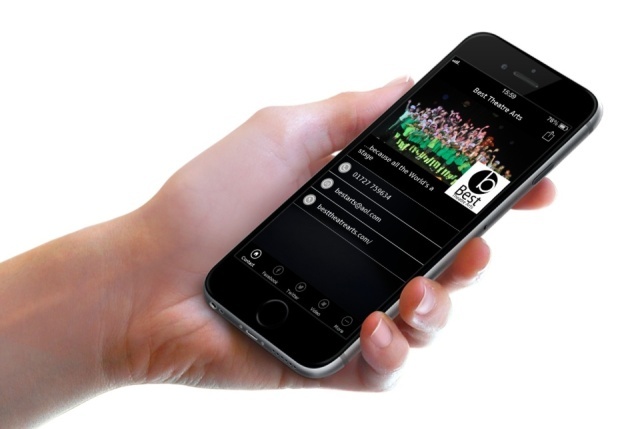 Best’s app is now live! Yes it’s here! The Best Theatre Arts app! Please could all Best parents download this and enable notifications as it will help us enormously when we need to get urgent messages out (like this week’s venue changes). It’s in the Apple Store and Google too.